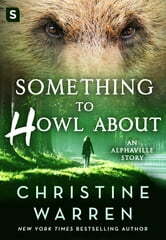 Something to Howl About by Christine Warren Light hearted paranormal series opener. Full of humor, with much of it on the sarcastic side. Humor of the kind that doesn’t take it all so seriously. My favorite type of writing. I don’t know why I haven’t read this author before but will absolutely look for this new series as well as looking into the original of this spinoff. The below makes the town of Alphaville sound dark and sad but that was not at at my first impression. To me it is a town of rejuvenation, hope and understanding. I look forward to getting to know the residents. 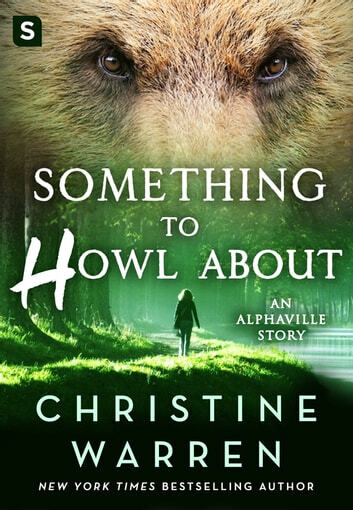 “Every shifter in America knew about the town. It was where they sent their problems, like an open air asylum for damaged Others. Shifters would couldn’t shift, or who couldn’t control the process. Ones with anger issues, or who had survived trauma. Even ones who needed to recover from grave physical traumas. And, of course, the outcasts. The ones who had been shunned by their packs, prides, clans, or family packs.” I received a copy of this novella from NetGalley. I really enjoyed reading this series. Great story line, adventure, excitement and romance with a sense of humor. Aggggh, this is a novella. I hate reading novellas, just get interested in the story and it ends with so many questions not answered. I like the whole shifter genre but I want a bigger, more involved story. Hopefully the next ones will be more complete. Alphaville is a refuse for shifters that have not fit in with the conventional pack hierarchy or for those that need a place to fit in. Annie has been banished from her pack in New York but has an opportunity back into the fold if she heads to Alphaville and help them with a unique issue. Having been on the road for three years Annie, who is a genius scientist of shifter genetics, will do anything to return to her pack. Introduction to some amazing citizens; Christine Warren is creating the start to a paranormal world of love and salvation. "A copy of this book was provided by St. Martin's Press via Netgalley with no requirements for a review. Comments here are my honest opinion." Looking forward to reading the next in this series "Baby I'm howling for You".